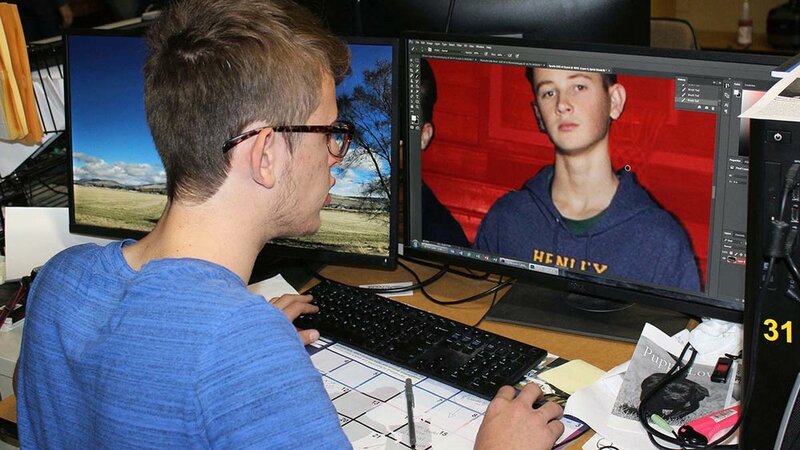 Zachary Cheyne-Russell, a student at Henley High School, edits a photo of classmate Colton Chenault for the school’s yearbook during a media class. The media class is new offering at the school. In 2017-18, Henley High School had a four-year graduation rate of 99.30, one of the highest in the state and more than 20 percentage points higher than the state average. According to data released today (Jan. 24) by the Oregon Department of Education, the county school district’s overall four-year cohort graduation rate for 2017-18 was 79.20 percent, up 1.33 percentage points from the year before, and slightly higher than the state average of 78.65. Klamath County School District Graduation Rates. The county district has two high schools – Henley and Lost River – that rank among the state’s highest in graduation rates, graduating more than 99 and 96 percent of their students, respectively, and topping the state average by 18-20 percentage points. At Mazama High School, the district focuses on the completer rate because Mazama has several district-wide programs with unique student needs. Some of these programs offer the extended diploma, which, although recognized as a four-year diploma, does not factor into graduation rates. Like a GED, extended diplomas are defined as a "completer." Completer rates at Mazama have risen nearly 10 percentage points since 2014. The school doubled its four-year graduation rate from 2016 to 2017, and continued to make gains last year, increasing its rate by 6.73 percentage points, from 14.86 in 2016-17 to 21.59 in 2017-18. Its four-year completer rate also improved, jumping from 47.30 percent to 52.27 percent. 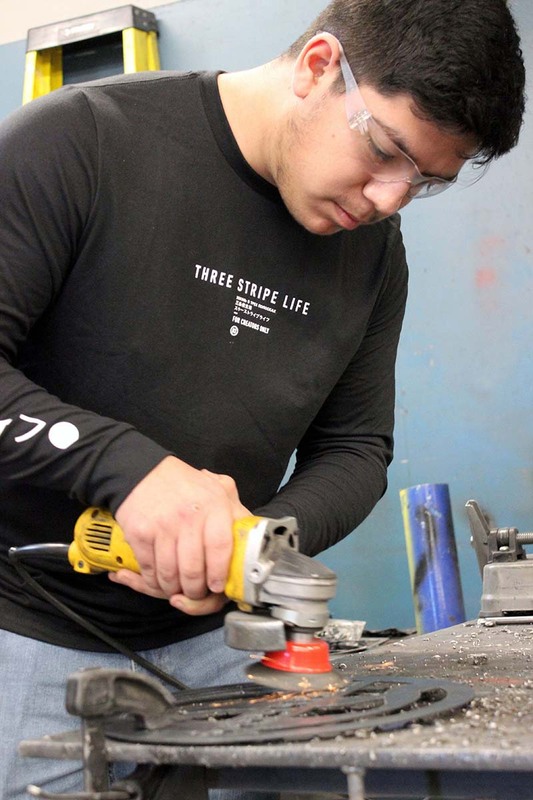 Mazama High School senior Christian Dominguez uses a wire wheel grinder for a manufacturing class project. Graduation rates at Mazama and other schools in the Klamath County School District continue to improve. Among its offerings, Mazama has a four-year manufacturing program that engages students in hands-on work, including welding, metal and woodwork and computer design.